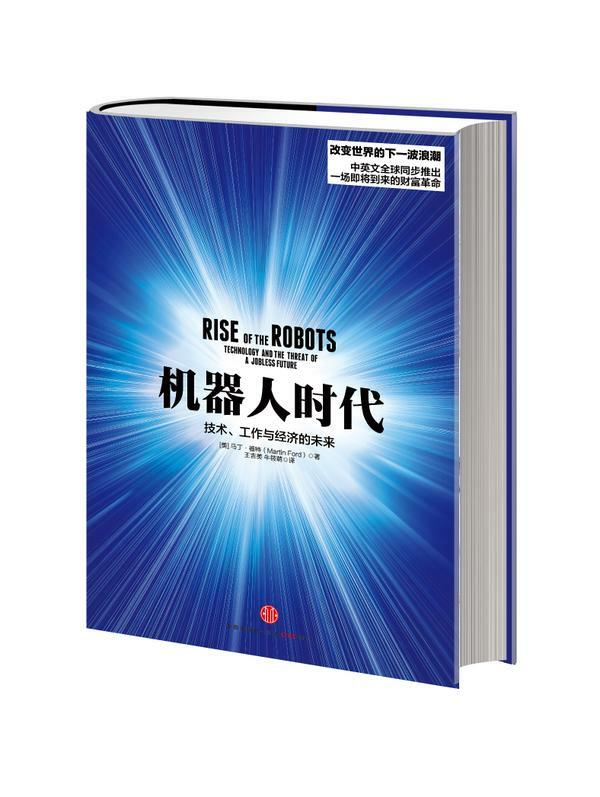 I’ve just returned from a week-long book tour in China (my first visit) to promote the Chinese translation of my book Rise of the Robots. 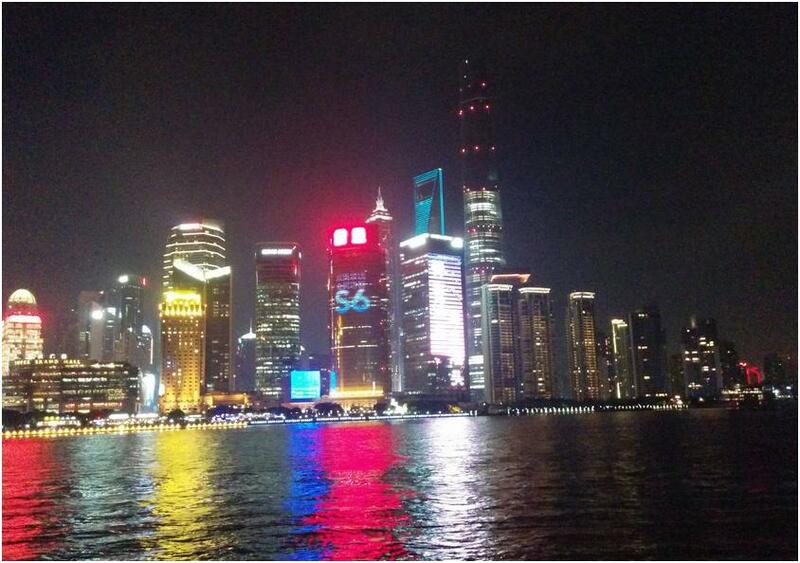 I spent most of the time in Beijing but also had one day in Shanghai. I think that robotics and artificial intelligence are poised to eventually have a dramatic impact in China because of the country’s heavy reliance on manufacturing and also because China is faced with raising household incomes and transitioning to a consumer-driven economy at a time when information technology is far more advanced than was the case with countries like the U.S., Japan or South Korea. I wrote about these challenges recently in a New York Times op-ed. During my trip, I spoke at three leading Chinese universities/business schools: Cheung Kong Graduate School of Business, Shanghai Jiao Tong University, and Peking University. Most of the people who attended the talks were alumni who had attended executive MBA-type programs. Shanghai Jiao Tong, for example, runs a program specifically geared toward training the children of Chinese tycoons in order to prepare them for eventual succession. In other words, it was a pretty elite audience. I also talked to a number of print, online and television journalists. There seems to a very high level of interest in robots, AI, and the potential impact on jobs and society. The journalists I talked to all came prepared with long lists of detailed questions and invariably utilized the entire allotted time period. My speaking events likewise generated far more questions than could be answered in the time available. There’s a genuine concern about the specter of mass unemployment and what it would potentially mean for social order in China. I also got a lot of questions of about the “existential” threat of advanced AI – as has been articulated by Stephen Hawking, Elon Musk, etc. There’s lots of entrepreneurial interest in robots. Several people in the audience said they had started robotics companies in areas like educational robots for children and telepresence robots designed to monitor the elderly. I also got several questions along the lines of, “I want to manufacture robots, can you recommend a U.S. robotics company to partner with?” (My answers disappointed in this area). If you haven’t read Evan Osnos’s book Age of Ambition, I highly recommend it. I think it very well captures the mood in China. One question from the audience in Shanghai—asked with genuine sincerity and enthusiasm—caused my mind to go blank for a while: “Since it looks like Donald Trump may be the next U.S. president, how will he be different from Obama? Do you think his strong business orientation will make a big difference?” My answer included the word “clown” but I’m not sure they really understood what I was saying. One comment that I heard several times was that “If technology causes unemployment or social upheaval, that’s not our problem—it’s a problem for the government.” In other words, the Chinese government is clearly (and accurately) not perceived as being “by and for the people,” but rather something quite separate. However, people do have some level of confidence in government’s ability to solve problems. Most Chinese continue to hold the U.S. in high regard and feel that their country lags significantly in terms of the kind of innovation you see in Silicon Valley. I pointed out that information technology diffuses pretty rapidly and that companies like Baidu are really on the leading edge in areas like deep learning. There’s a fair amount of concern about “reshoring” – or that robotic manufacturing will gravitate way from China and back to the U.S. (I think this will happen in some areas but probably not so much in electronics because the supply chain is so established in Asia; China may also benefit from its own reshoring effect as may be able to retain factories that would otherwise migrate to Southeast Asia). Pollution is not quite as bad as I expected. It is very visible – look out your high rise hotel window in Beijing and you really can’t see very far. I would not call the sky really blue but on the better days it is perhaps “bluish”. However, I did not notice any issues with actually breathing the air. (Then, again, I didn’t go jogging either). Everyone seems extraordinarily friendly. Beijing feels completely safe. At night, people gather in parks to play music and dance. On hot evenings elderly people sit outside and actually do use those fans you see in souvenir shops to cool themselves. Police are everywhere. They have no guns, but wear flashing blue and red led lights on their shoulders. Public transportation is remarkably cheap. Subway fares were just recently revised to be based on distance, but I never paid more than 3 yuan (about 50 cents). Subways are extremely crowded, but there are way too many cars on the road and rush hour traffic crawls. Pedestrians are at high risk. When the “walk” light turns green and people begin crossing, drivers simply don’t care; they weave right between the pedestrians. Kind of the mirror image of Stockholm where everyone is so uptight about the rules that pedestrians will stand and wait obediently for the walk signal, even when the road is utterly barren of vehicles and there is not even the distant rumble of a running engine. The Forbidden City is huge, but so crowded (and hot in July) that it really detracts from the experience. I much more enjoyed Jingshan Park, just to the north, where you can climb a hill (created from the earth excavated for the Forbidden City’s moat), visit a shrine with a panoramic view of both the palace complex and the city as a whole. Toward the end of my visit I signed up for a VPN and used it successfully at one hotel. Then I moved to a different hotel, and when I connected, my entire internet connection when down almost immediately. From that point on, my laptop was unable to connect to the internet, even when not using a VPN—and even when I returned to the U.S. I was eventually able to solve the problem by reverting to a system restore point that was saved before I left for China. So if you plan to use a VPN in China, beware Big Brother behaving badly. My new book Rise of the Robots: Technology and the Threat of a Jobless Future will be available on May 5 in the U.S. (and via Amazon in many other countries) in hardcover, eBook and audio book. The publisher is Basic Books. A Chinese translation will release simultaneously from CITIC publishing and a revised version, completely updated for the United Kingdom and with a slightly different title, will release in the UK in September. You can see a description and order on Amazon, Barnes and Noble or IndieBound. A review by Kirkus can be found here, and here are some brief comments by Tyler Cowen at Marginal Revolution. —Jaron Lanier, author of You Are Not a Gadget and Who Owns the Future? My 2009 book The Lights in the Tunnel: Automation, Accelerating Technology and the Economy of the Future is now available in Japanese. You can order from Amazon.co.jp here. The book was translated by the Japanese Publisher, Asahi Shimbun Publications. According to Google Translate, the cover text says something like “Technology will steal 75% of employment” … which sounds pretty alarming. In this chapter, we are going to fast forward far into the future; we will imagine a time when at least three quarters of the jobs which exist in our current economy have been permanently automated away. In other words, the unemployment rate will be at least 75 percent—an almost unimaginably high level—and there will be no realistic hope that more jobs will be created in the future. Is it possible to have a prosperous economy and a civil society in such a scenario? If we can devise a system that would work in such an admittedly extreme situation, then we should also be able to figure out a way to gradually transition into that new system, so that we can maintain economic stability as automation advances in the coming years and decades. When I wrote The Lights in the Tunnel, I thought the title — which refers to a thought experiment I utilize in the book — would be catchy and memorable. In retrospect, however, it doesn’t do such a great job of conveying what the book is really about, and, especially, doesn’t translate well into other languages. I have learned from this, and my new book (releasing May 5) is titled Rise of the Robots. Until March 1, 2015, my 2009 book about the impact on robotics and AI on the job market and economy, The Lights in the Tunnel: Automation, Accelerating Technology and the Economy of the Future, is a completely free download in PDF format. If you prefer to read the book on Kindle, you can find it for less than $4 on Amazon. The Lights in the Tunnel now has over 180 reviews on Amazon. I also have a new book Rise of the Robots: Technology and the Threat of a Jobless Future coming out in May 2015 from Basic Books (Hardcover, eBook and Audio Book). You can see a description and pre-order on Amazon.com. It has been about five years since the publication of my 2009 book The Lights in the Tunnel: Automation, Accelerating Technology and the Economy of the Future, which argued that we are on the brink of a revolution in robotics and artificial intelligence that would put millions of jobs at risk—and quite possibly threaten our overall economic prosperity. Over the next few years, I followed up with a series of posts both here and at Huffington Post, warning of a future unemployment crisis, the potential automation of low-wage fast food jobs as well as the higher-skill white collar jobs sought by college graduates, and the negative economic consequences of widespread automation. For most of the five years that I have been writing on this subject, I’ve been a relatively lonely voice; the attention of both the public and economists has been focused elsewhere. Over the the past year or so, however, things have changed quite dramatically: deep concern about the robot revolution—and its impact on jobs—is going mainstream. In September 2013, researchers at Oxford University conducted a study of over 700 occupations and found that jobs representing about 47 percent of total U.S. employment (or over 60 million jobs) are likely to be susceptible to automation within the next decade or two. A separate study by a think tank in Brussels found that between 50 and 60 percent of jobs in most European nations could eventually be taken over by robots or algorithms. More recently, a survey of experts by Pew Research found that the vast majority expect that “robotics and artificial intelligence will permeate wide segments of daily life by 2025,” and about half of those surveyed expected a significantly negative impact on jobs. Many of these concerns are captured in the extremely well-produced video, “Humans Need Not Apply,” just released by C.G.P. Grey. Grey has become well-known for short, high quality videos that clarify a variety of complicated topics, but this is his first full-fledged documentary and offers one of the best explanations I’ve seen as to why we should worry about the coming robot invasion. I’d strongly recommend taking 15 minutes to watch this great video. Update: I’ve added a second good video called “Transitions for Society.” The first the video does a great job of explaining technological unemployment, but doesn’t focus on solutions. The second video offers some possible policy prescriptions. 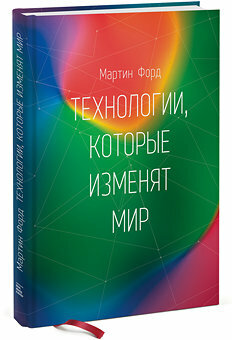 A Russian translation of my book The Lights in the Tunnel is now available. The book can also be purchased online in Ukraine.